Evve long Range (ELR) produces the world's most advanced high-intensity search lights used in military, border and law enforcement applications globally. 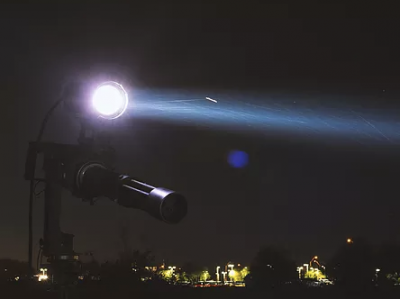 Our patented Galilean-telescope optical system is capable of uniform illumination of targets at over 3 miles (5 km) in visible light and over 1.5 miles (2.4 km) in invisible infrared for use with night vision devices. Our products have been independently certified as having best-in-class performance. We continually introduce new products ensuring the highest performance levels with the latest technology. Our products are designed to exceed the requirements of the most challenging conditions, with many being MIL-STD-810G compliant for extreme environmental conditions (including shock, extreme temperatures, humidity, salt spray, and sand/dust) as well as MIL-STD-461F for electromagnetic interference (EMI). Our products are currently being used by the most demanding customers including the US Military, NATO and the Japanese Navy, among many others. We are the market leader in performance, quality and service - the three pillars of our mission.